As evidenced by many new carbon fiber reinforced plastic (CFRP) parts on display at BMW Group's Innovation Day 2011 event, car manufacturers are going to great lengths to reduce the weight of their vehicles. Diet programs include innovative techniques for removing the core of wheels which are traditionally solid metal and replacing them with new, lighter, high-strength materials as seen in BMW's Naturecore wheels. For BMW, no doubt much of what was on display will find its way into their new BMW i Division of vehicles. Fore more visit World Car Fans. NASA has awarded Lockheed Martin with a 5 year 3.9 billion dollar contract to build the agency's next generation space vehicle. Looking very much like a slightly scaled up version of the Apollo program's Command Module, the Orion space vehicle will carry astronauts back to the moon and ultimatley on to Mars. Orion's first launch is expected no later than 2014. 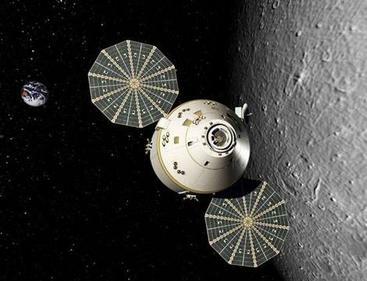 For more information visit David Darling's helpful Orion spacecraft overview page.